Preliminary ProcedureDisconnect the negative battery cable. 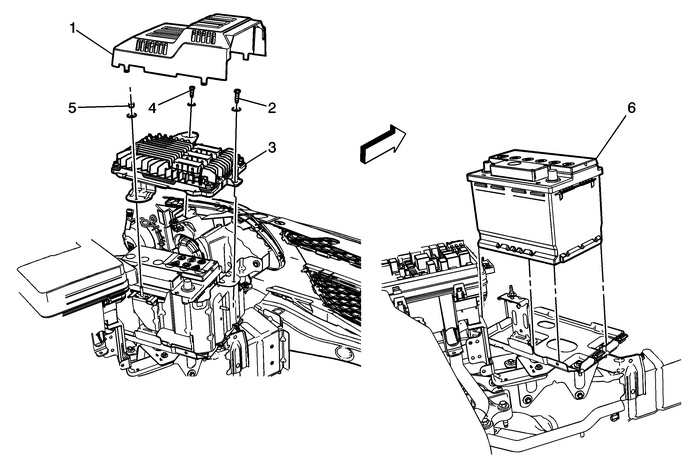 Refer toBattery Negative Cable Disconnection and Connection.Reposition the engine control module bracket/battery hold-down retainer. Refer toEngine Control Module Replacement.Remove the positive battery cable from the battery post. Refer toBattery Positive Cable ReplacementRemove the push in retainers from the front portion of the left front bumper fasciaopening cover and reposition the cover. Refer toFront Bumper Fascia Opening Cover Replacement.